The Alaska Airmen’s Association is one of the largest state general aviation groups in America. 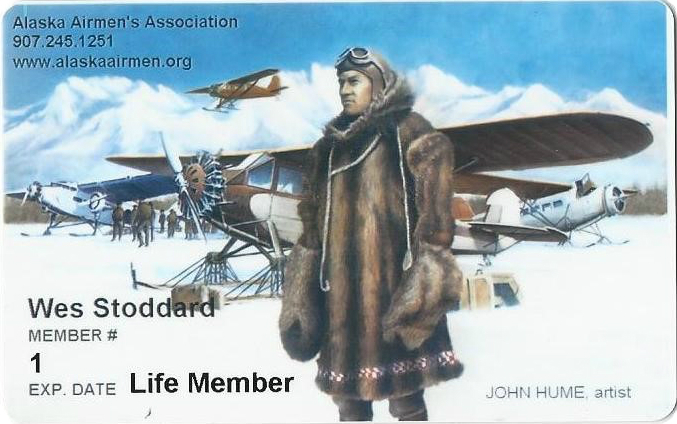 It is a 501 (c) 3 Non-profit organization whose sole purpose is to protect, promote and preserve aviation in Alaska through advocacy, outreach to youth and more! BWI Aviation Insurance has joined forces with the Airmen! BWI represents multiple A+ rated aviation insurance companies and has the ability to shop multiple insurance markets to offer more competitive rates, lower insurance prices and fast, knowledgeable service. Airmen Members can submit an insurance quote request directly from www.bwifly.com or call 800.666.4359. BWI’s office is open 12 hours a day and each BWI customer has their own dedicated agent and 24/7 direct number for urgent requests. Avemco Insurance Company now offers a 5% discount to all Alaska Airmen members. This new member benefit is effective immediately to members who own and rent aircraft. Alaska Airmen members may easily claim their 5% discount. If applying on line for an insurance quote, simply type AK Airmen in the box asking if someone referred you to Avemco. If applying by telephone for an insurance quote, all a member has to do is mention their Alaska Airmen’s membership, and your Avemco representative will provide details on how this benefit impacts your individual premium. Take the next step to protect and preserve your aviation community! Quote and name recognition permanently engraved on the -Alaska Airmen Wall of Fame- located at the Anchorage Headquarters.